When is a business big enough to start thinking about developing its brand? The answer. From day one. Your brand is the identity that you have in the marketplace. And it's not a matter of whether you will have an identity. It's a matter of who will define it. If you don't craft a brand for yourself, chance and happenstance will shape one for you. Thus, for your startup the most important branding question is this: will you purposefully establish and manage your brand? Or will you leave your brand identity to the collective judgment of others? When we frame the question this way, it becomes immediately clear that you want to take affirmative control of your branding. And you need to do so while your startup is still in infancy. 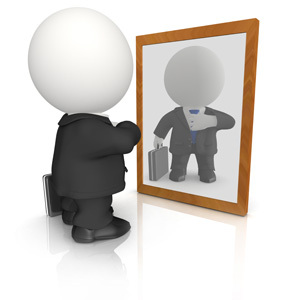 As soon as you introduce yourself and your business to the marketplace, people start forming an impression of you. In their mind you are already assuming an identity, a brand. And this "branding" will inevitably happen, without regard to whether you've made a purposeful effort to shape your brand. This is why brand management is just as important at the launch of a business as at any time in its lifespan. You want to be in control of those first impressions which the marketplace forms of you and your company. Otherwise, establishing your brand in the future requires you first to contend with the defacto brand which has already developed around what you do. Millions of words have been written on branding. You could spend a lifetime just reading the literature already available on the subject. So in this article (and the next) I want to cut through all of the verbiage and summarize the essence of the branding process for encore entrepreneurs who are starting a new business. To whom does it make this promise? How do you go about delivering on this promise? Take a well-established brand like Starbucks. What does its brand promise? Well, what comes to mind immediately when you hear the word "Starbucks?" Coffee, right? The fact is, however, that Starbuck's stores sell items other than coffee. I like their hot apple cider. I often buy their muffins or other finger foods. I've even browsed more than once through their offering of cups and mugs. Still, while they sell other things, when you think "Starbucks" you think "coffee." In a word, then, branding is as much about what you do not promise as about what you do promise. A convenience store is not promising extensive selections. A discount furniture store is not promising top-end custom-built furniture. When evaluating new opportunities, your clarity on what you promise and what you do not promise positions you to make faster and more consistent decisions. You don't lose valuable time responding to customers who come to you looking for things which you don't offer. You gain clarity in your marketing, so that you avoid the appearance of trying to be all things to all people. The second branding question — the potential customers to whom you make the promise — is simply another way of asking, "Who constitutes your targeted market?" Wal-Mart's brand says, "Our target customer is the shopper for whom price is a primary buying criterion." The Rolex brand says, "Our target customer is the buyer who has the financial resources to pay a premium price for a product that offers status and prestige." The Price Continuum — Where Do You Fit? In almost every line of business there are discount providers on one hand, high-priced providers on the other. Other providers — usually the majority of them — fall on a continuum between these two. In branding your business, you have to decide where you want to fit on this continuum. Then you identify the types of people who are a) looking for the type of products or services that you offer and b) are looking to buy them at your price point on the continuum. You then make those people the focus of every marketing and advertising effort. Your competitors, strictly speaking, are not every business on this continuum. Your competitors are other businesses which are congregated near the same price point at which you've positioned yourself. So the competition for Chili's restaurants is not Ruths Chris Steakhouse. Chili's competitors are similarly-priced restaurants with a comparable scale of offerings, such as TGI Fridays. Once you determine where you reside on the price continuum and identify the competitors who congregate along this same portion of the continuum, your goal is to create greater value for your customers than anyone else near your price point. And you build your brand around this distinctive. Next we move to the third question: how do you go about delivering on your promise? Several other questions then flow from this one. How do people access your products or services? Primarily in person-to-person settings? Or through technology? Does your business have a physical location to which customers come? Or do you meet customers exclusively in the virtual world of the internet? In terms of commitments to customers, where do you place your greatest emphasis? On being price competitive? On having a wider selection than your competitors? On offering higher quality than the competition? On providing the fastest response time or delivery schedule? On providing unsurpassed customer service and care? Let me underscore this last set of questions, the ones about customer commitment. Some people respond to them by saying, "These are not "either-or" questions. I'm committed to doing all of these things." Understood. There's nothing that prevents a business which is price competitive from also having good customer service and fast deliveries. But when push comes to shove, which of these commitments will you treat as most important? For instance, if you ever have to make a trade-off between customer service and being price competitive, which will you choose as having the higher priority? Your branding should encapsulate that priority. This does not mean that your marketing and advertising never mention other customer commitments. But the messages and activities that brand you should highlight the one or two customer commitments which are your highest priority. In the next issue we will continue the discussion of branding by looking at the branding message itself and how you put it together.